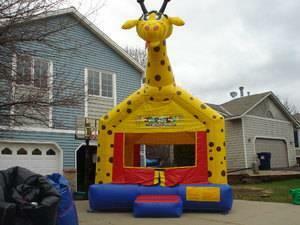 Add this 13 X 13 Giraffe Moonwalk to your next event - Kids will love to jump in the belly of the giraffe. This is an amazing moonwalk and will add an adventure to any party. The kids will jump for hours giving the parents a chance to relax.